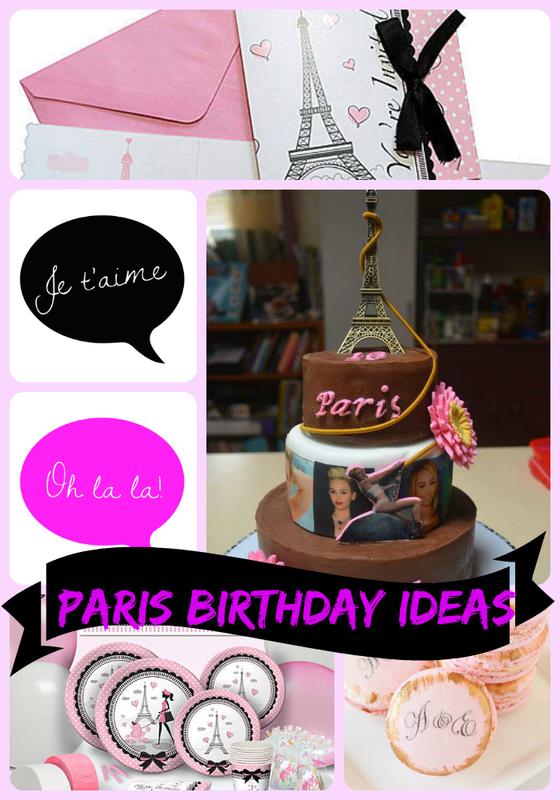 Birthday parties are not just for children and Paris is one of the themes that can be used for anyone at any age! Everyone knows that Paris is the city of love and birthday parties should be about the love of the person being celebrated. Before the party can start, the invitations will need to be sent out to family and friends. 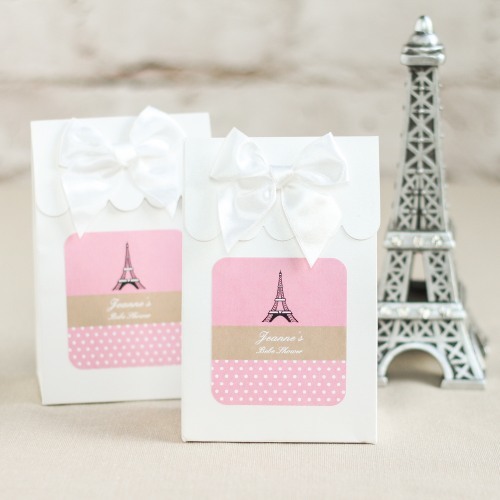 These invitations have the Eiffel Tower on them and when most people think of Paris their first thought is the Eiffel Tower. 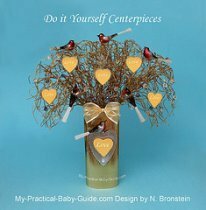 Your guests will know right away what the theme of the party will be. The fun will really begin after the invitations are sent, because that’s when the rest of the planning begins. 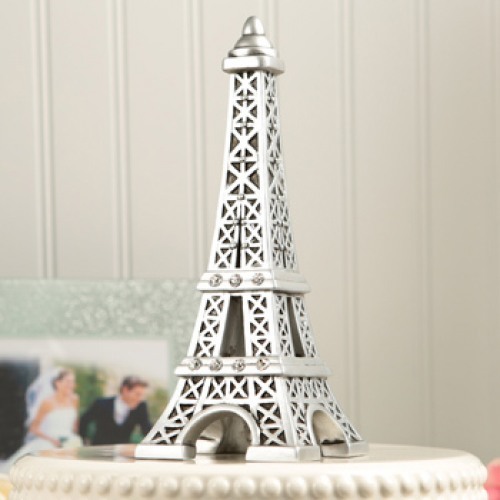 There are so many decorations available with a Paris theme for the party venue. All of the tables can be covered with this Paris tablecloth, which features the Eiffel Tower and a woman walking a poodle. Very ooh-la-la! These Paris theme plates, cups and napkins will allow you to serve your guests some party food in style. 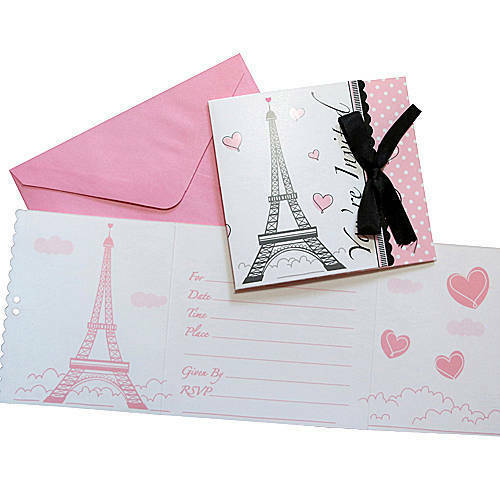 Add some pink and white streamers, a personalized party sign and a pink Eiffel Tower and your guests will feel like they’ve been transported to the city of Paris for the day. 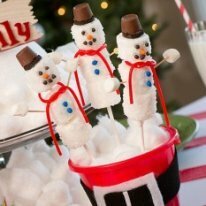 The adult guests can enjoy a mimosa bar, while the children can enjoy sparkling water or lemonade using the same fruits. For food you can serve croissant sandwiches and quiche. Set out fruit, veggie and cheese platters and your guests can eat like a real Parisian. 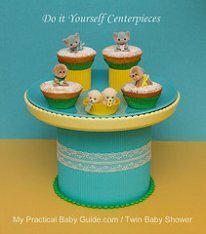 Your local bakery will be able to create a cake for the party or you can make your own. All you need to do is bake a three tier cake, frost it and add an Eiffel Tower on top. 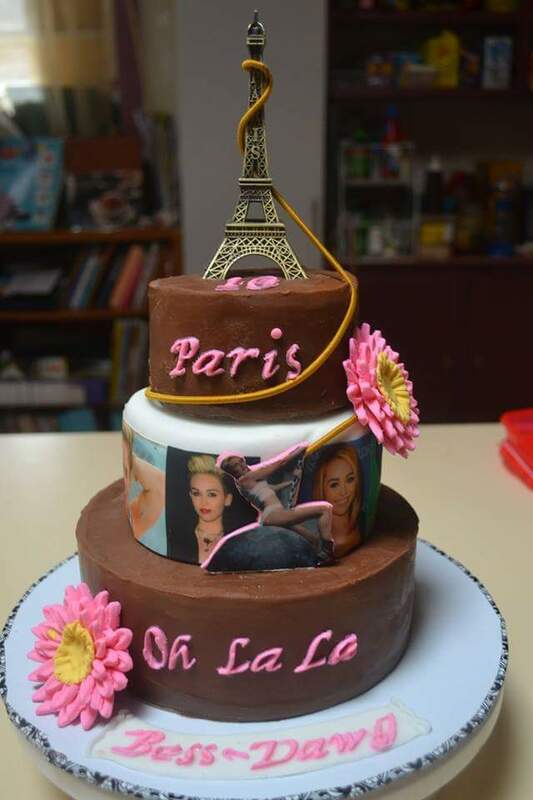 Below you will find Paris Birthday Cake that were shared by some creative cake decorators of Share a Cake Community. 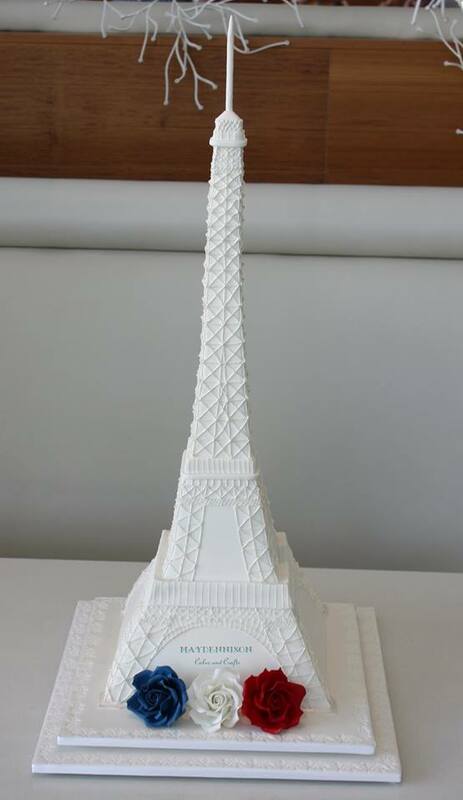 If you don't know how to create such beautiful cakes, you can always bake a simple cake, cover it with a creme and add this Eiffel Topper below on your beautiful cake. Put your cake on the center of your dessert table so everyone will enjoy and feel Paris!! 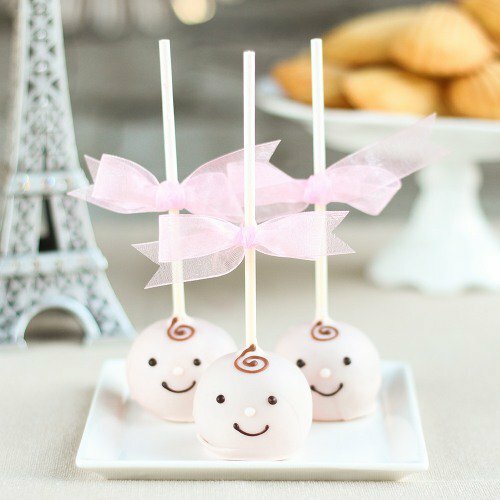 If you don't have time or the creativity, you can always buy decorated food for your dessert table that remind your guests they are on Paris!! Below you will find some cookies and desserts that you can buy online. 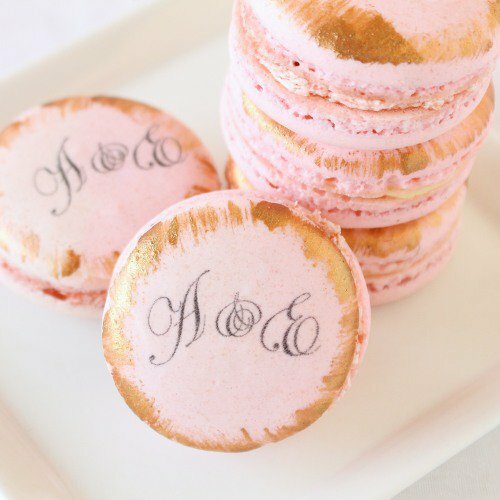 They look so Paris and so so Yummy!!! 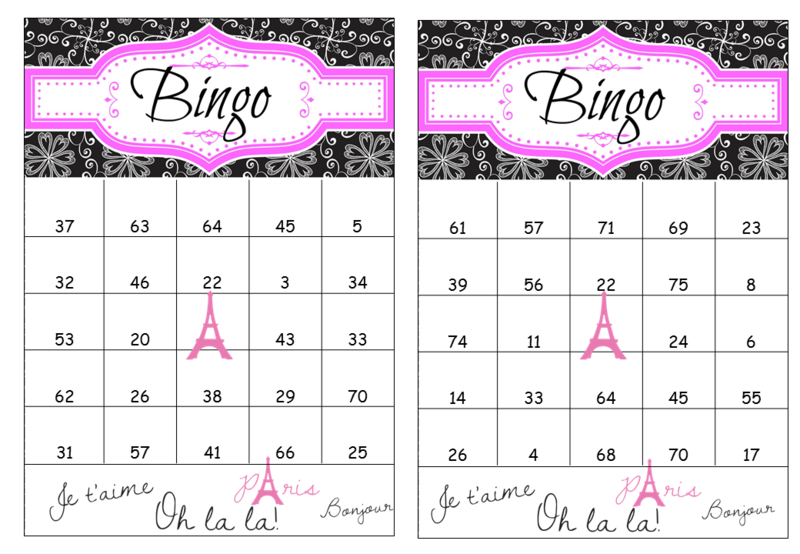 All of the guests will enjoy a game of Paris bingo. 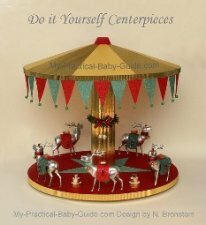 You can also purchase an Eiffel Tower statue and play ring toss. See who has better aim, the adults or children. For an extra special twist, hire someone to pretend to be a mime. They can dress the part and walk around miming with the guests. It is sure to provide enjoyable entertainment. Caricature drawings are also popular in France, so if you can find someone to draw one of each of the guests, you will be able to send the guests home with a unique party favor. Other party favors can also include petit fours, a beret, small Eiffel Towers and a Paris Lip Balm. 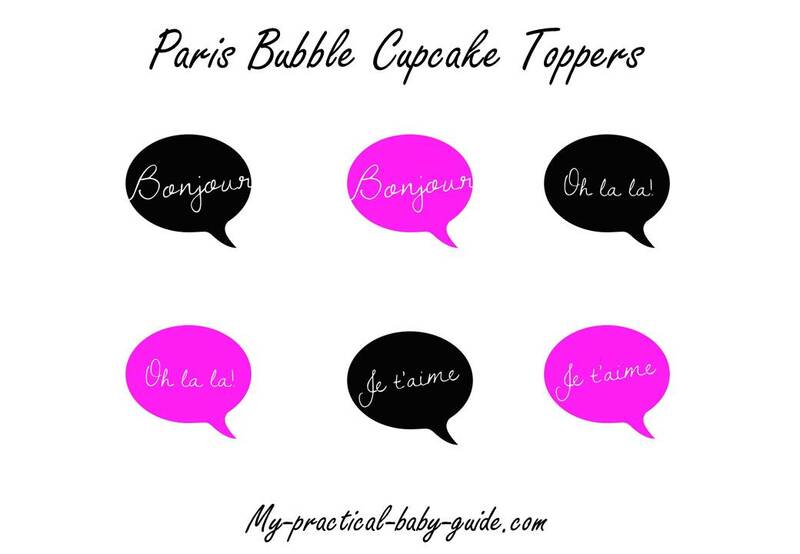 We have designed Paris cupcake toppers with a bubble shape, pink and black. On every bubble we have written sayings related to the Paris theme. Each bubble is approximately 2"x2", just download to your computer, cut , print and decorate your cupcakes. 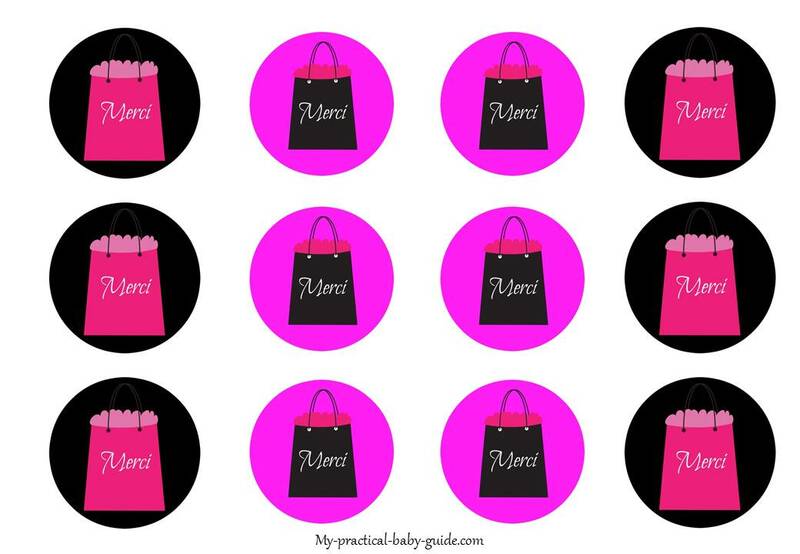 These are Paris Circles gift tags and they are free for your personal use. 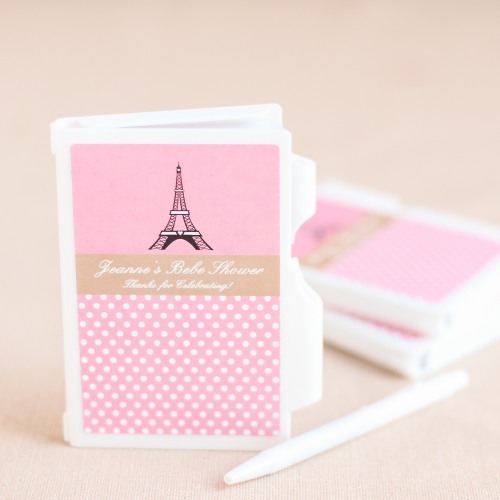 A Paris theme party is very easy to create and fun for those that attend. Once everything is set up, there is nothing else that needs to be done. 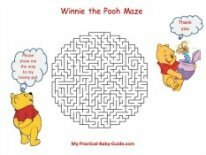 So, relax and enjoy all of the fun.